Build Server Fundraiser a Success - Thank You! Over the past 3 months, we've been raising money to purchase a build server to help us speed up our development cycle, and the response has been overwhelming. We've raised more money in 3 months than we've received in donations since Mixxx was started in 2003, and for that, we'd like to thank the 43 Mixxx fans who generously donated to our cause, and our broader community for helping spread the message. Your gracious donations will help ensure Mixxx can continue to grow and provide the open source community with great DJ software. On behalf of all Mixxx contributors, thank you! We'll post an update on the build server project as we get our hardware and software configurations together. We've got work to do! The submissions for the T-shirt contest are below. Unfortunately, it seems most of you are much more interested in buying a shirt rather than designing one, so we have only two entries, only one of which is an original design. That said, it's great design, and so we'd like to congratulate Joe Colosimo for his winning entry! 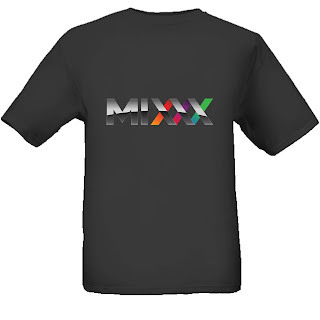 Because one of our developers is going get some stock and handle t-shirt orders for us, we'd still like to know if just a plain Mixxx logo would be a more popular choice. So please take a look at the designs below and cast your vote! Voting is open until January 10th. Which Mixxx t-shirt design would you prefer? Which T-shirt size do you need? Mixxx 1.8 was a big step ahead, bringing new features like hot cues, looping, and a brand new library, but as we speak, many other new features are being developed behind the scenes. 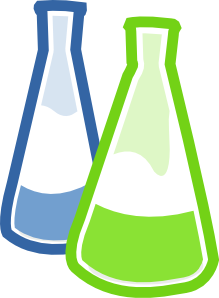 These new features are still in the lab, so to speak, but some of them are maturing rapidly and will likely make it into a Mixxx release. Some of them are even stable enough for the brave to start testing. Although, I wouldn't use any of them in a live performance yet... or would I? Bill Good recently developed this feature through the Google Summer of Code program. 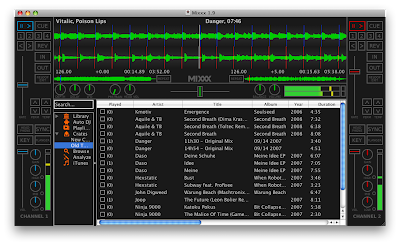 With External Mixer Mode, Mixxx will be able to output the audio from each deck through a separate audio channel. This is a heavily requested feature, and is especially handy for vinyl control users. Our internal audio routing code was significantly overhauled during this project, and as a result, we'll be able to add microphone input to Mixxx in the future with relative ease. Bill has also been helping improve support for FLAC files in Mixxx. Since the first release of Mixxx, we've been stuck with only two channels for mixing. Fortunately, we've been rescued by RJ Ryan, who has put in some long hours refactoring anything and everything he can get his hands on so that we can support more channels. Thanks to his efforts, our development version of Mixxx can support any number of decks internally. We're still working on modifying our user interface to support more decks, but it looks like we may rely on 4-deck variants of our skins in the short term. Built upon our support for multiple decks, a prototype sampler was developed by Ryan Baker through Google Summer of Code this year. These small miniature decks allow you to play audio samples. For example, you will be able to add sirens, air horns and vocal samples into your mixes. This feature still requires more work on the user interface and some under-the-hood polish, but there's been great progress made so far. Beat Smashing effects, a la Aphex Twin. Quantized Hotcues: your hotcues could sync up to the beat. Quantized Loops: automatically create precise loops with X beats. The main difference between BPM detection, which is what we have now, and beat detection is that each individual beat will be detected and marked and not just guessed from the BPM. Coupled with a good grid editor and other groovy features this could make Mixxx a truly killer program for mixing and mashing songs, especially those with variable tempos. As you can see, future versions of Mixxx have the potential to be pretty exciting! You can help support development of Mixxx by donating to our build server fund or by getting involved directly. Thanks for your support! This article was written by Mixxx developer Philip "Madjester" Whelan. The Digital DJ Tips blog has just posted an exclusive interview with Adam Davison, our project manager. The interview goes into the project history and gives some insight into how we view Mixxx from a developer's perspective. Check it out! Mixxx 1.9.0 Beta1 and 1.8.2 Released! Hot off the heels of 1.8.1, the Mixxx development team is pleased to announce the release of Mixxx 1.9.0 Beta1! This public beta is intended to give (brave) Mixxx users a chance to try out some new features and help us find bugs. We do not recommend using beta software for live performance because there will be bugs. You can help improve Mixxx by reporting any bugs you find. Important: Mixxx 1.9.0 beta1 will upgrade your library to a new format. This will make it incompatible with Mixxx 1.8.1. In order to try out Mixxx 1.9.0 beta1 you should upgrade to Mixxx 1.8.2, which we are also announcing today. You can switch back and forth between Mixxx 1.9.0 and Mixxx 1.8.2 with no trouble. The new Sound Hardware preferences pane allows you to route each playback deck separately, which allows you to use Mixxx with an external mixer. A user from our forum worked closely with our developers to fully implement volume normalization, including performing the ReplayGain analysis for tracks which are not tagged. The scrolling waveforms now scale according to the channel gain for better visual feedback. Formerly known as "pitch-independent time stretch", there are now easily accessible key-lock buttons for each for deck. Since the original source material for the Outline Netbook skin was lost eons ago, our artist completely redid it from scratch and tweaked it for better visibility. The new skin has also added EQ kill switches. 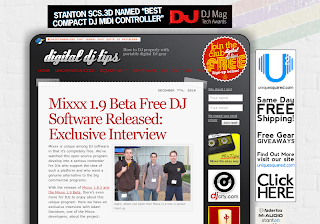 Mixxx now supports firewire HSS1394 MIDI devices such as the Stanton SCS 1 series. We're now using libFLAC directly for smoother FLAC decoding. Integration of TagLib allows Mixxx to parse more metadata from songs, and do it more consistently. Mixxx can now write changes in song metadata back to disk. This feature is off by default, and can be enabled in the Library preferences pane. The time counters in Mixxx now have an extra millisecond display. Played column - The library now indicates whether a song has been played in the current session already, and also counts the total number of times the song has been played. Ratings column - 5 stars, no stars, or anywhere in between. Better search - Search now searches in more columns, and by-term instead of by-phrase. Revamped iTunes integration - A rewrite yielded a significant speedup of iTunes parsing. Faster library scanning - The library scanner should perform much better on large libraries. Inline Editing - double click any item in the track table to edit its contents. Record in MP3/Ogg - Now your recordings can be saved in either MP3 or Ogg/Vorbis format. Tons of bug fixes and performance improvements! Mixxx 1.8.2 has a wide variety of bug fixes, performance improvements, and the same MIDI mapping updates that 1.9.0 beta1 has. We're making great progress on our 1.9.0 Build Server fund, but we still need your help! This project will finance a dedicated build server that we will use to create nightly builds and automate our release process. This means the development team will have way more time to focus on making Mixxx better instead of dealing with packaging. Money raised will go to cover the cost of the server, and any leftover money will cover other ongoing expenses like web hosting, and otherwise help keep Mixxx rocking! We've moved our official Mixxx repository for Ubuntu to a new PPA to increase security. The old repository is still online for now, but Ubuntu users will have to follow the instructions on our downloads page (click the Ubuntu download link) to get the new versions of Mixxx we've just released. There's also a separate Mixxx betas PPA, for brave souls. We depend on feedback from our users to guide Mixxx's development, so please file any bugs you find in this beta release on the Mixxx bug tracker. If you don't file a bug for the beta, don't be surprised when it isn't fixed in the final version! 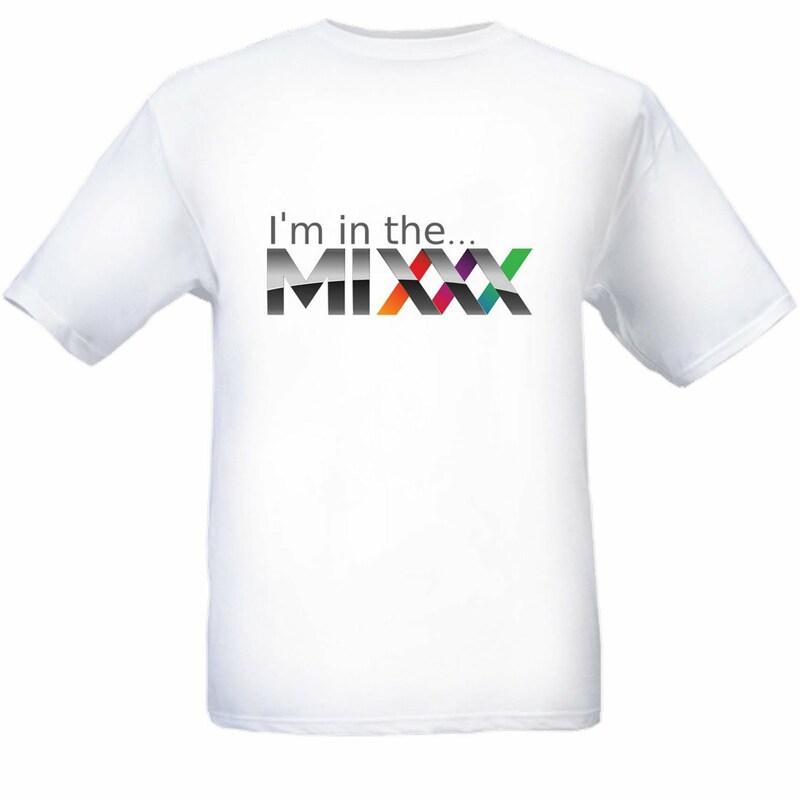 We're always looking for new contributors who are interested in working on Mixxx. If you're a programmer or artist and want to work with a creative, enthusiastic team, hop on our IRC channel (#mixxx on Freenode) or sign up for our developers' mailing list.